I love coffee. A lot. As a mom to three very young children, it's always Coffee Time at our house! 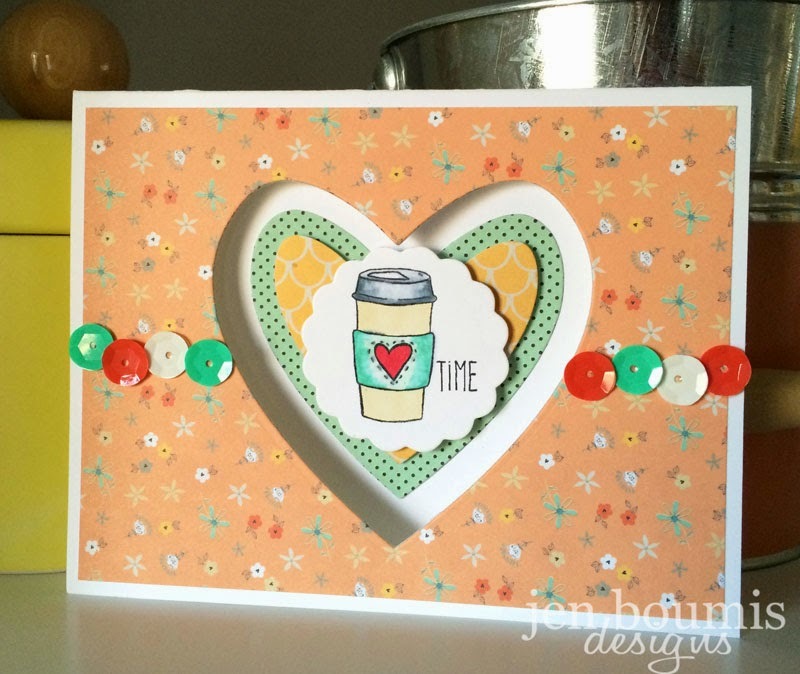 This card is an ode to one of my favorite things using the January Creative Cafe KOTM. I stamped the to go coffee cup on white stock. 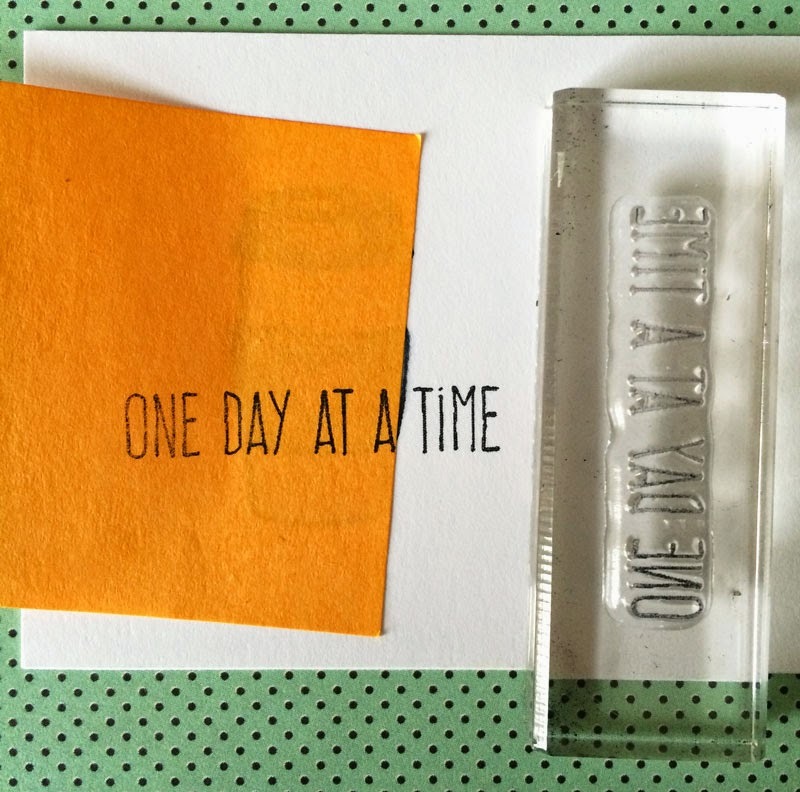 To use just one word from the "One day at a time" stamp, I masked off my stamped image with a sticky note and added the phrase on top so that only the word "time" was applied to my background. I then colored my image and die cut the piece. I layered the rest of the card with nested hearts dies by Spellbinders and added my stamped circle last, popping it up with a 3-D foam square for added dimension, then added a line of sequins to the card front.